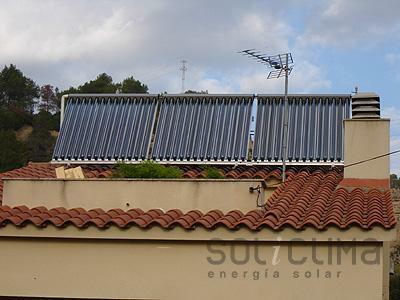 Solar hot water facilities in Memphis, Tennessee Solar energy is not the only way to save fuel costs. Installation of Solar hot water and electricity in Baltimore, Maryland Solar thermal energy is not only used to generate hot water for domestic use. 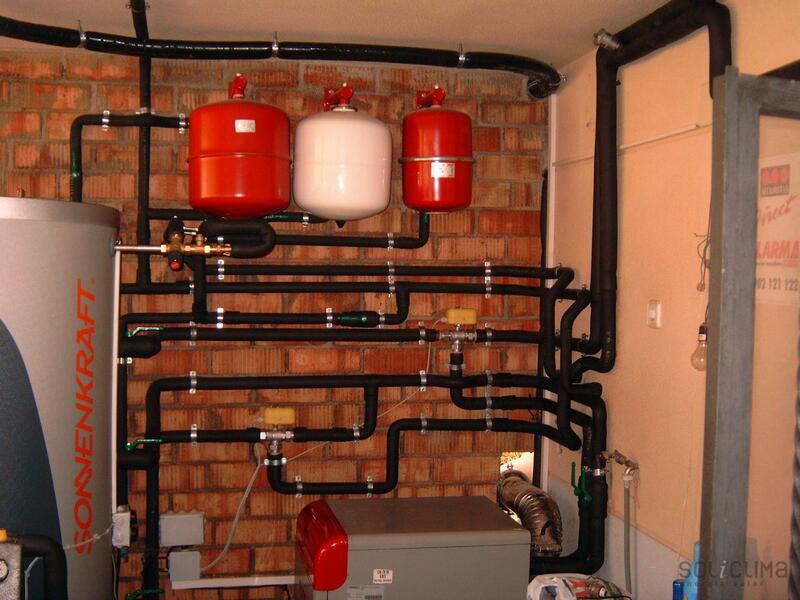 You can also use it for production processes, for example, to heat water used for washing agricultural facilities. 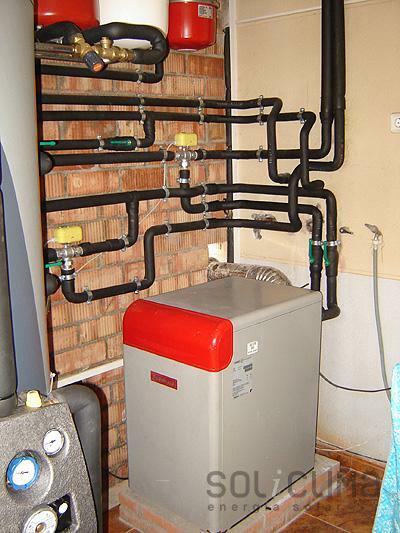 Solar hot water for a business in Louisville , Kentucky Not only homes may benefit from hot water using solar energy. 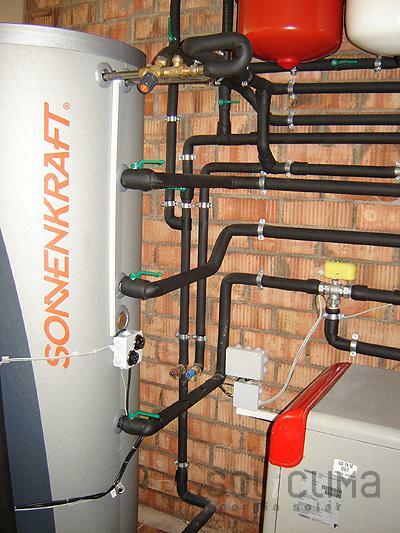 Solar energy facility in multi sport facility in Oklahoma City, Oklahoma Domestic solar solutions have a tank where the solar heat exchange between the plates and drinking water takes place. When the tank is greater than 1000 liters, the exchange occurs on the outside, through a plate exchanger, which is what we saw in the second image. Solar energy photovoltaic modules are based on a silica semiconductor, althought there are several lines of research seeking new materials more frequents in the nature. 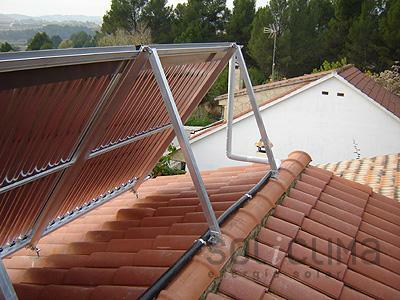 Solar collectors are a compartiment crossed by an hydraulic circuit that arrives to a deposit of drinking water and transmits the generated heat to the collectors. There is a variant, the collectors of vacuum tubes. Its look is different, they are not flat, but are formed with cilindrical shaped glass tubes with vacuum inside. Due to this circumstance, its isolating capacity is much higher than usual collectors. 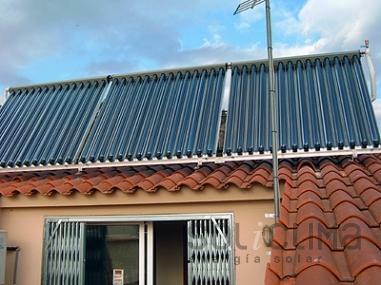 They are used in several differente cases of solar energy applyment: to generate heating, when roof orientation is not the best, and when a higher temperature is needed for industrial processes. In this facility, vacuum collectors were used.